Harmsen's core market is in educational projects. 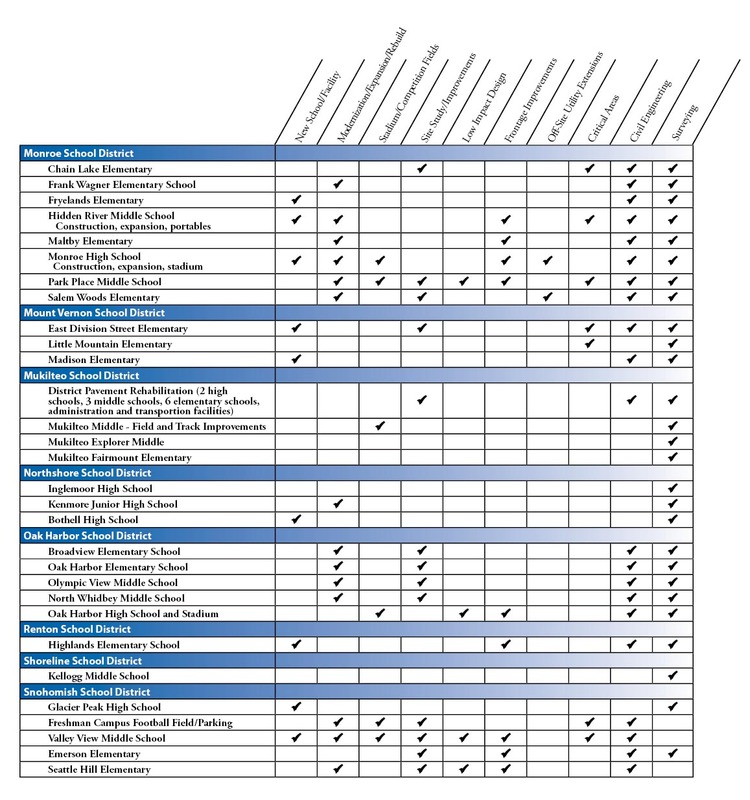 Harmsen has completed more than 350 school-related projects with 95% of them being for K-12 public schools. These have been new school campuses, major modernizations and expansions, occupied rebuilds, stadiums, portable installations, low-impact design, and pavement rehabilitation. 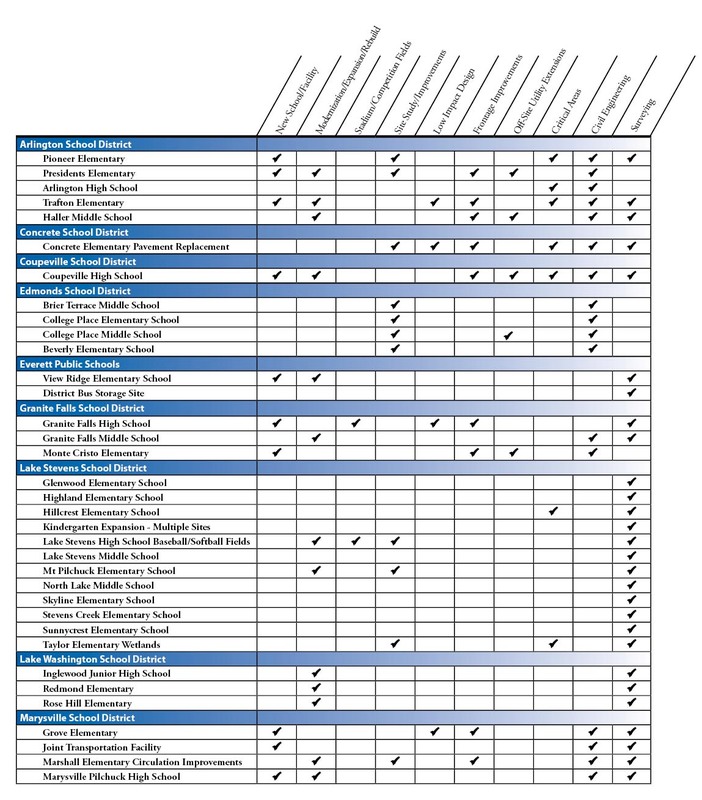 We have been on-call with over 10 school districts for all manner of full design, land planning, feasibility work, and site issue solutions that span both bond and levy funding. A key competency for us is occupied school replacement projects. We have also done work for two community colleges. As you can see below, our experience speaks for itself!